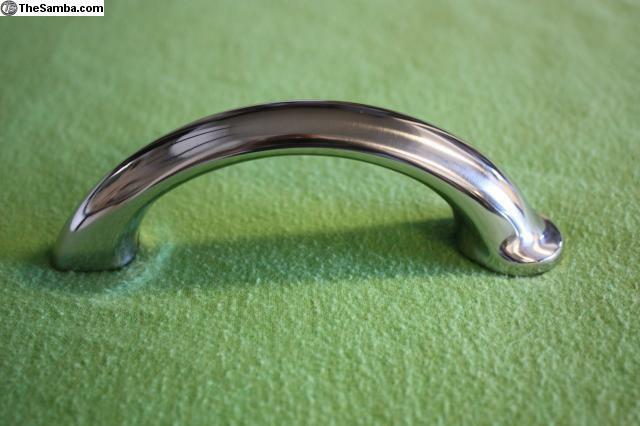 Here is a beautiful stainless steel European style hood handle, Part No. 113 823 565A. It is correct for 1960-1964 bugs and 1960-1966 for European models. 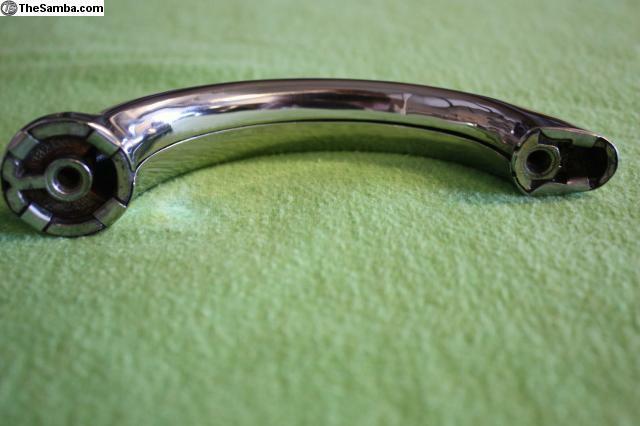 The handle has been cleaned and professionally polished. 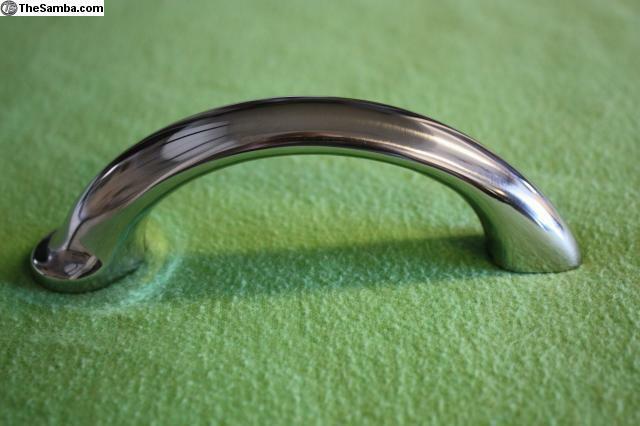 It is perfect with no dents or dings. 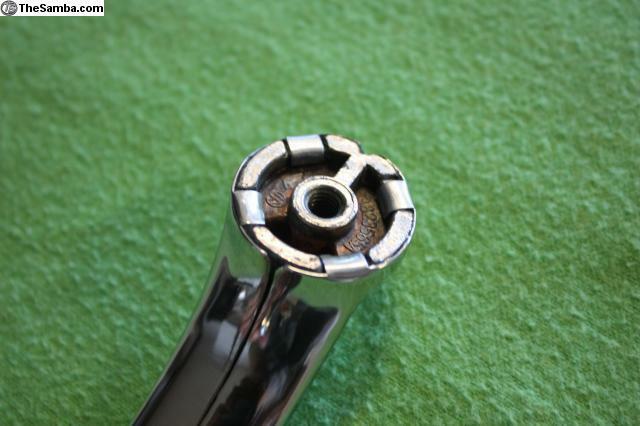 VW manufactured these stainless steel style handles for the European models to avoid corrosion that occurred with the pot metal handles. Price includes shipping in the USA, a bit more internationally.